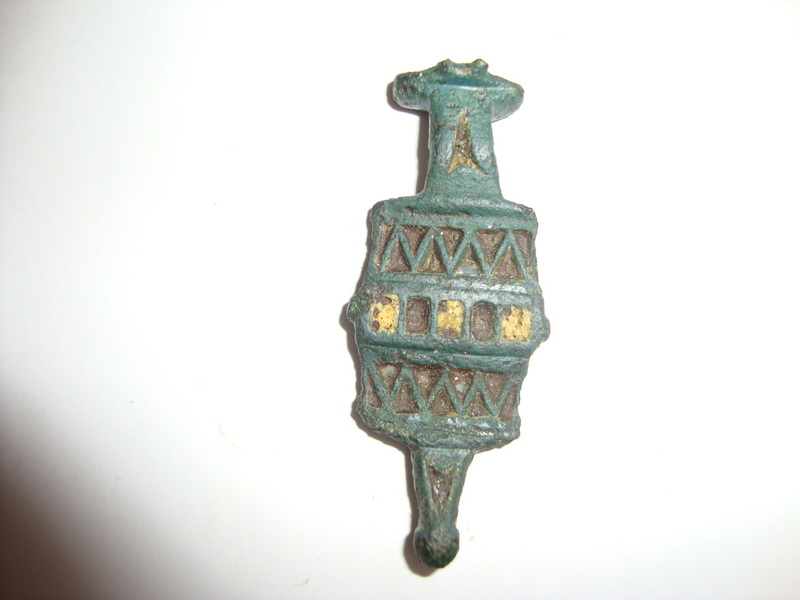 Plate brooches were used throughout the period of the Roman Invasion but the peak of popularity came in the 2nd century. 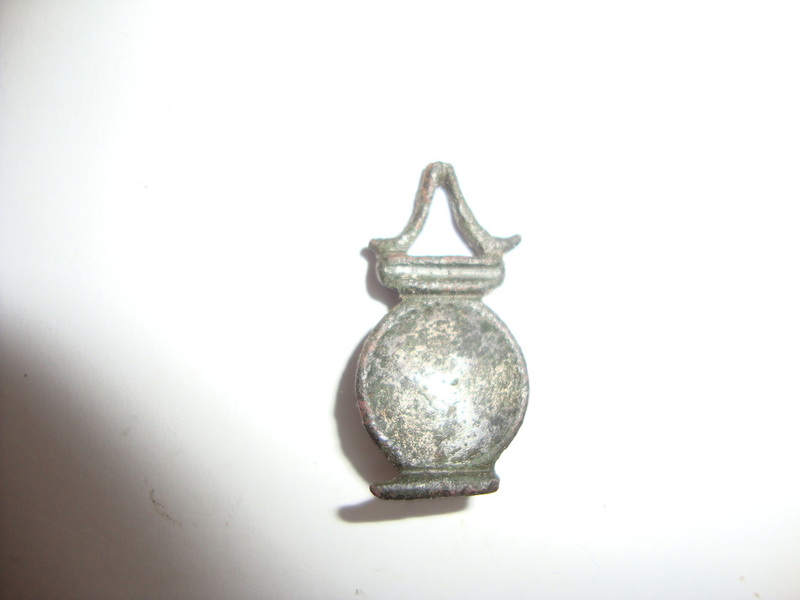 These could be very elaborate and stylish with a mix of silvering and coloured enamels usually red, blue, orange, green and yellow.These would have been expensive items to be worn by those who could afford them. 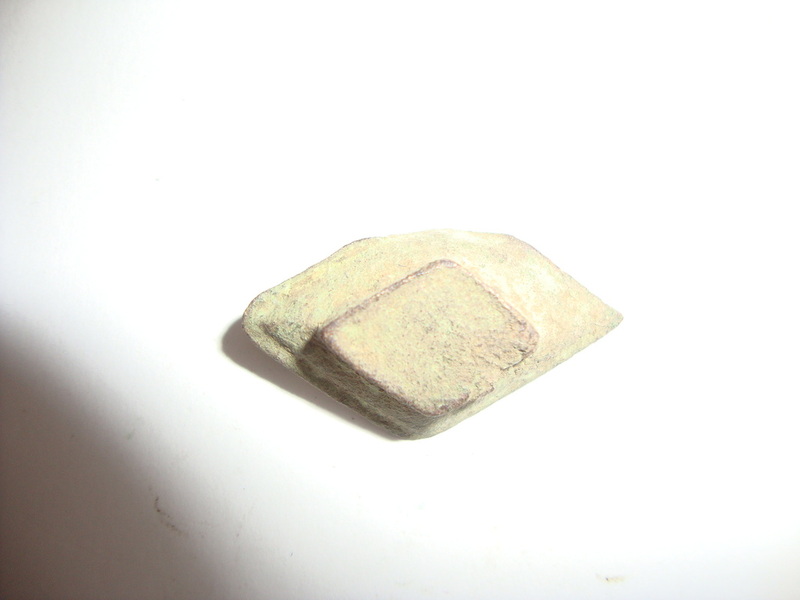 This is a flat and plain edged brooch dating from the 2nd century AD. 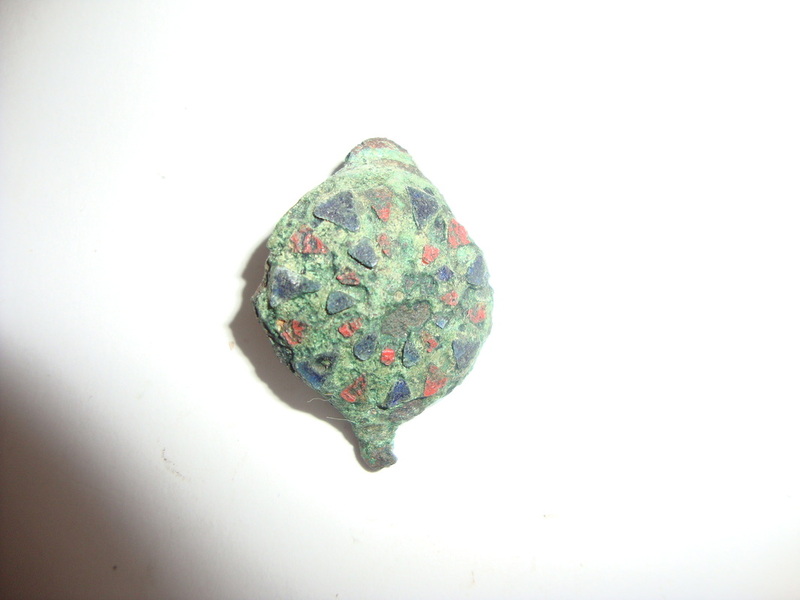 This example is complete with pin and has silvering to all raised edges, a lot of the red and green enamelling is still present. 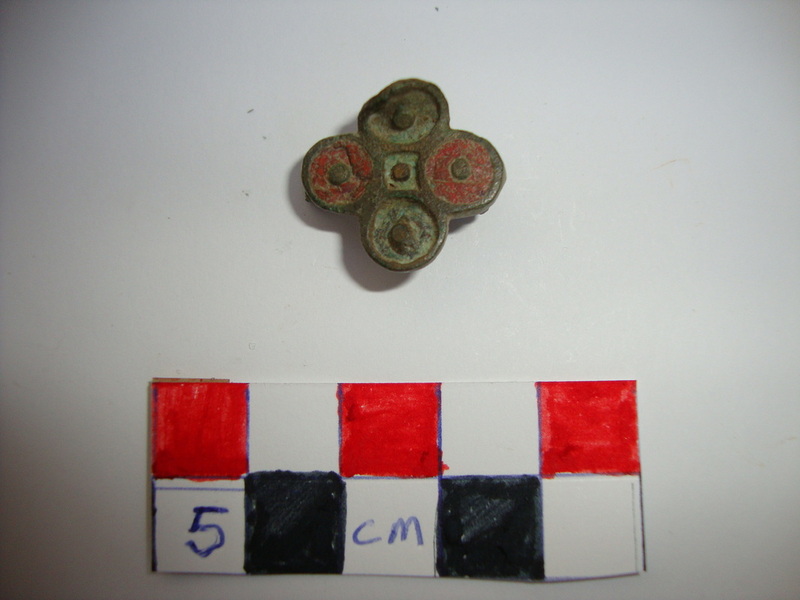 This brooch dates from the 2nd century and is classed as an equal ended brooch.It consists of a decorated centre piece with two circular tri lobed outer sections which would have been decorated with coloured enamels, some of which does still remain. 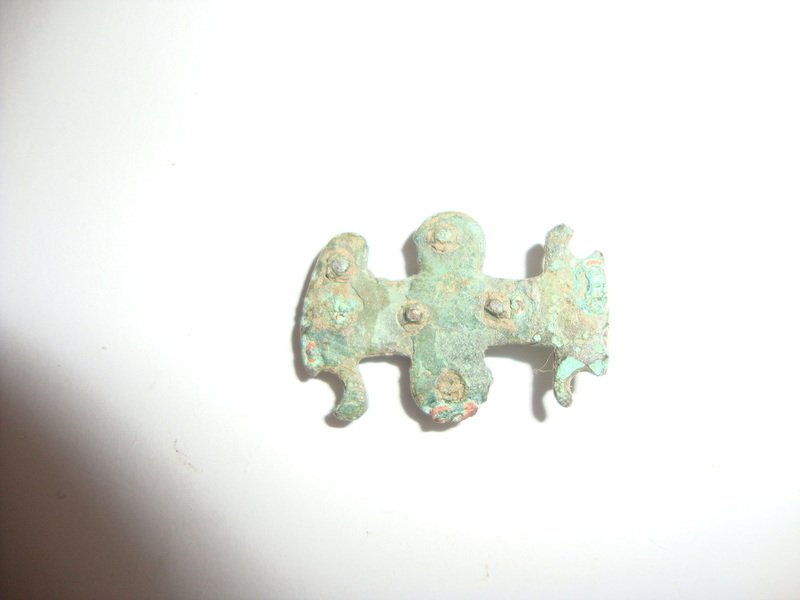 Another example of an equal ended plate brooch, this type has zoomorphic terminals. 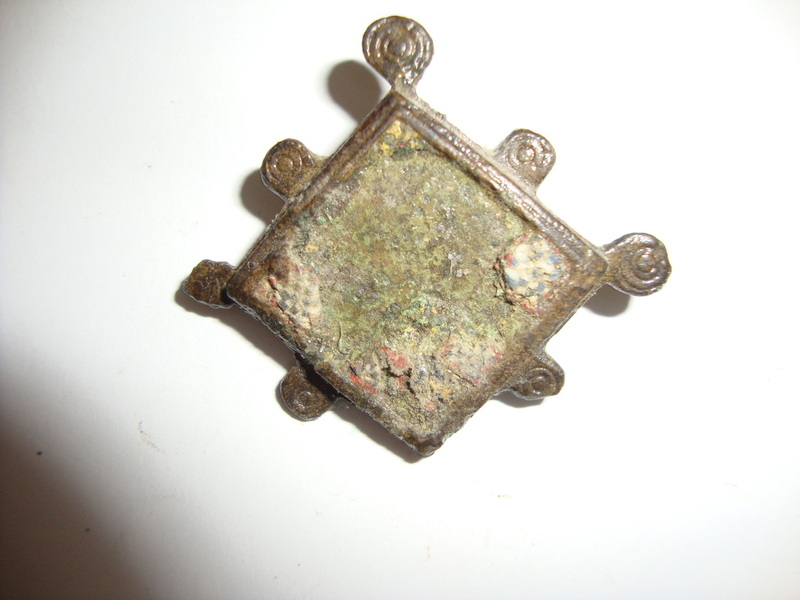 Although small it has a lot of delicate work including a centre panel that would have been enamelled. 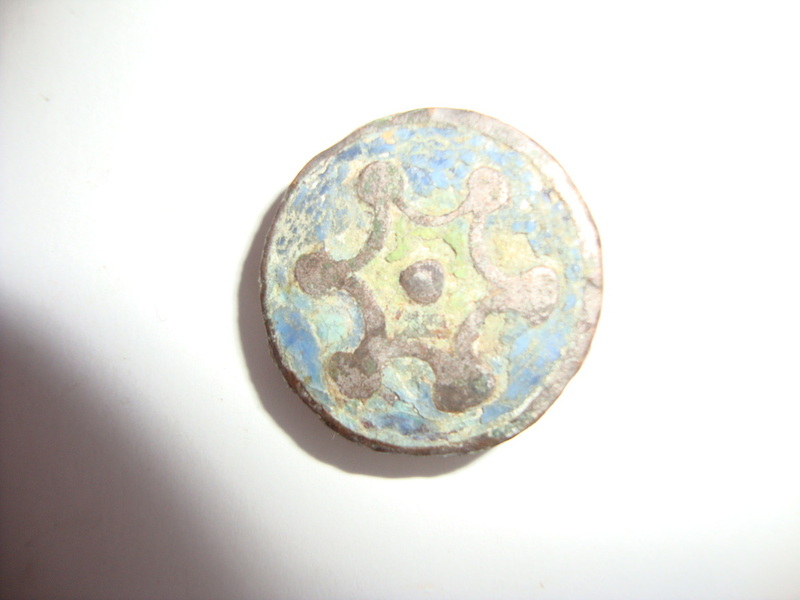 A composite plate brooch consisting of four conical discs with raised borders joined with a smaller panel, with a good amount of enamelling still showing, complete with pin. 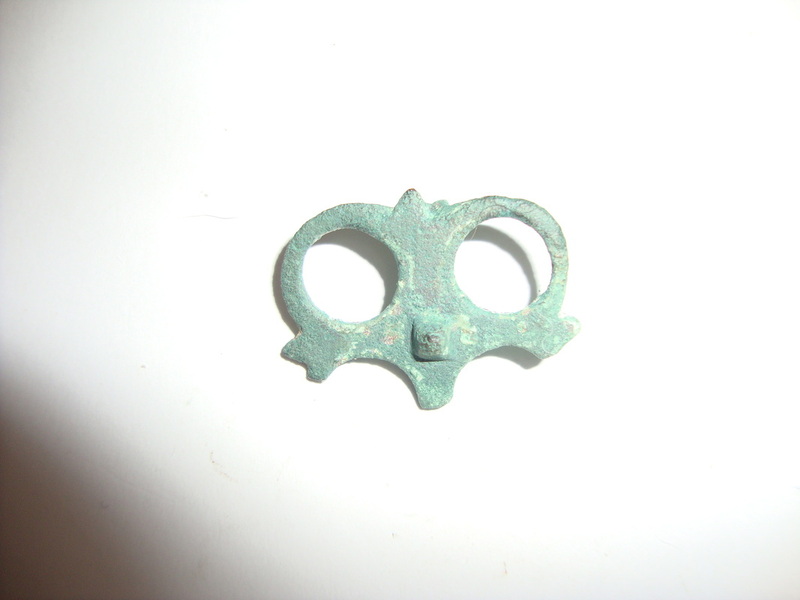 Flat and plain edged plate brooch, 2nd century. 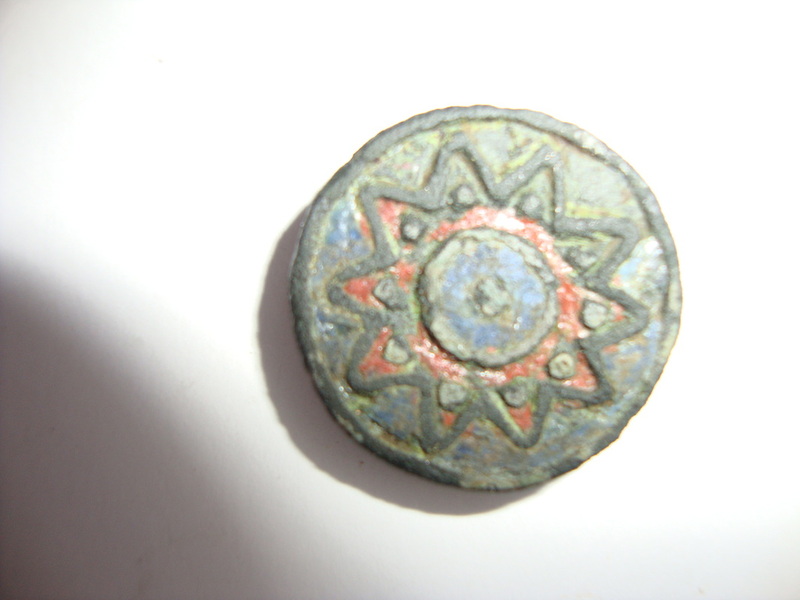 Very nice red and blue enamelling . 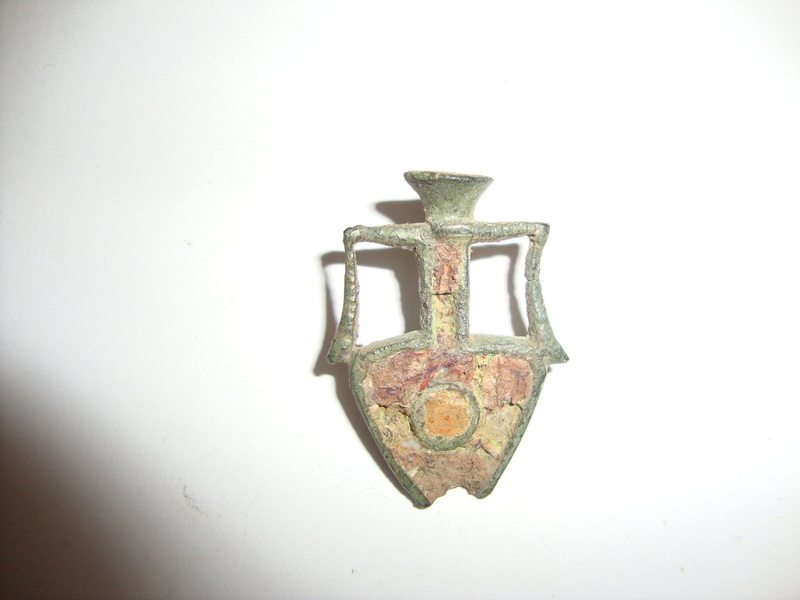 This is another flat and plain type brooch,2nd century AD. Blue and white enamelling with a star burst pattern with silvered raised borders, and centre boss. 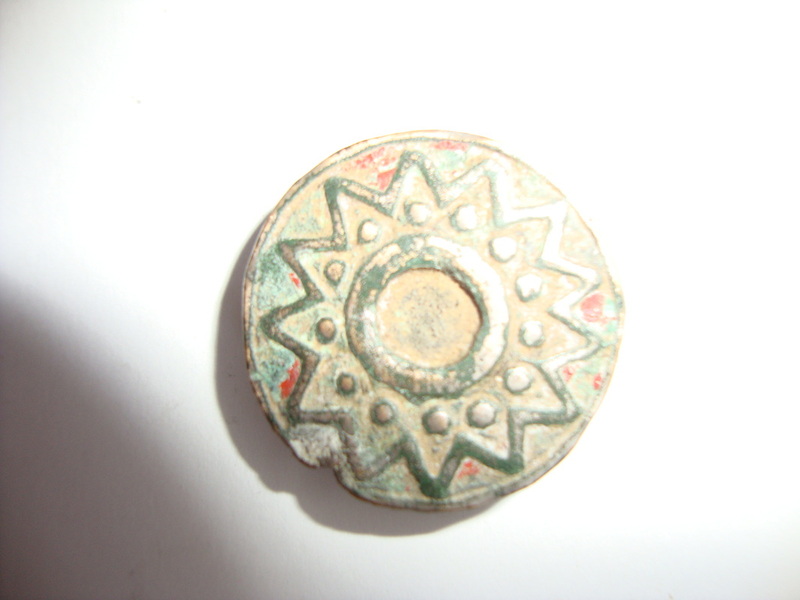 Another 2nd century plate brooch in fine condition with the remains of red and green enamel. 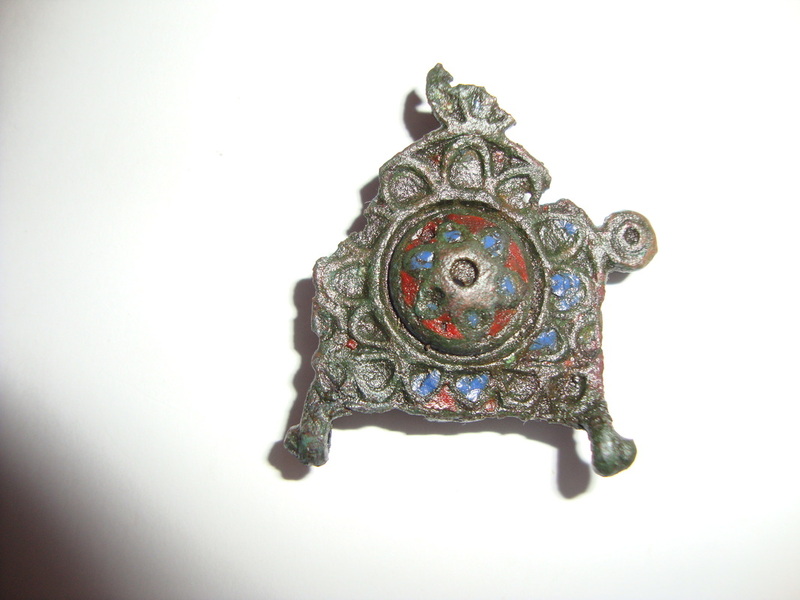 A simular 2nd century plate brooch with most of the red and blue enamelling remaining. I wonder if they were made by the same tradesman or by different tradesmen working to the same pattern? 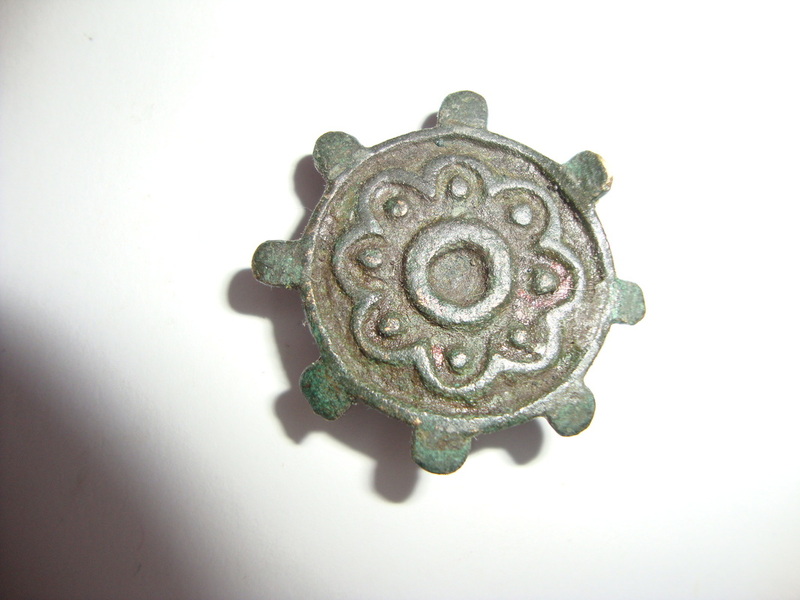 This brooch has a strong celtic influence. 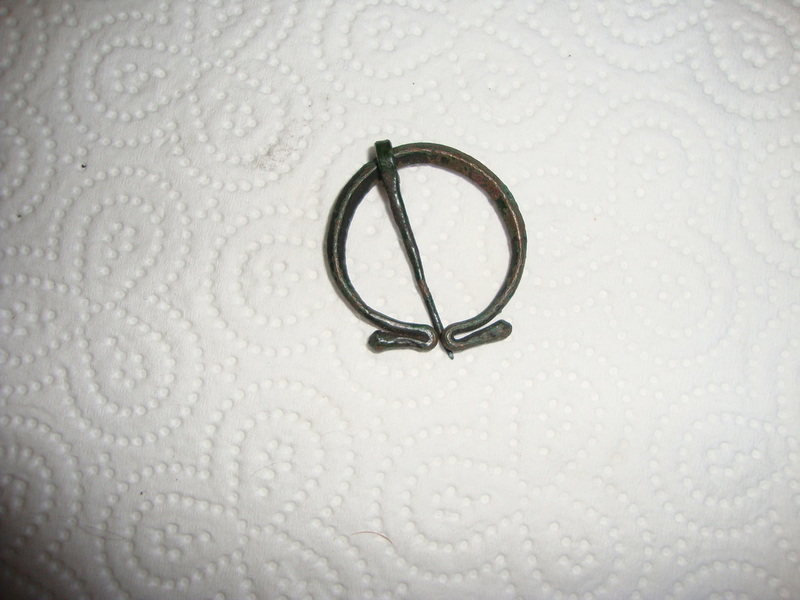 Known as a triskele brooch, a symble still used by the Isle Of Man. 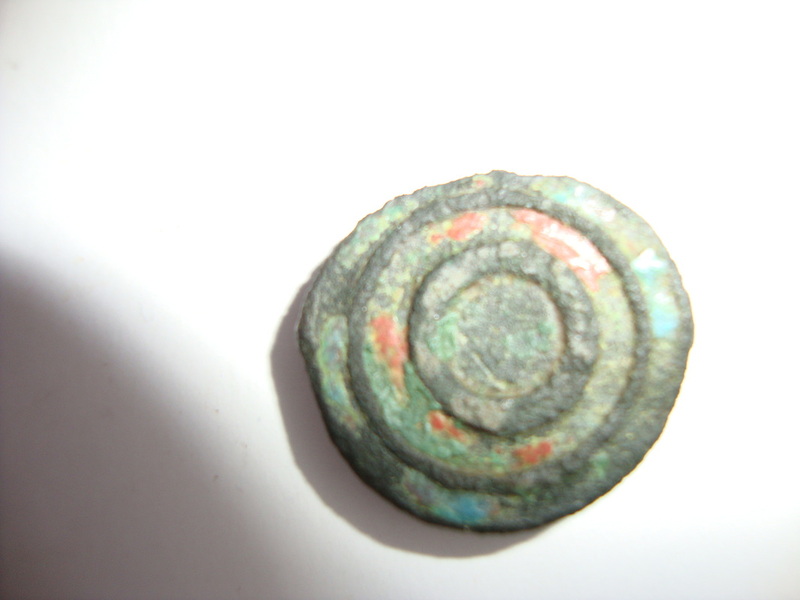 Consists of a central disc with radiate arms of red enamel, each terminating in a disc surrounded by blue enamel. 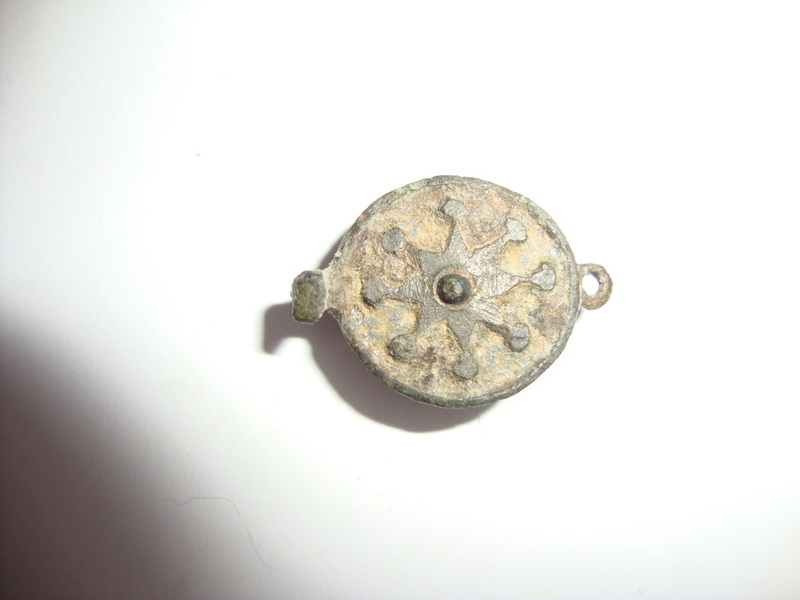 2nd century disc brooch. 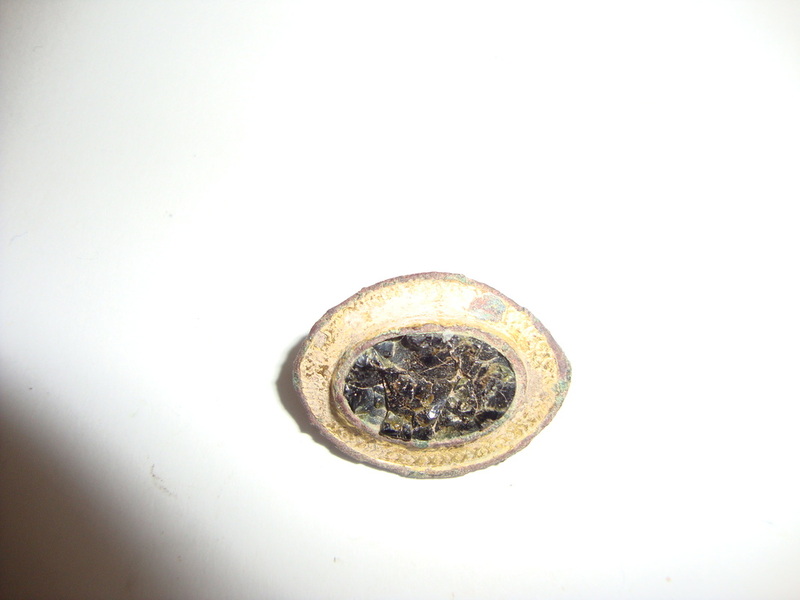 Some enamelling remaining. 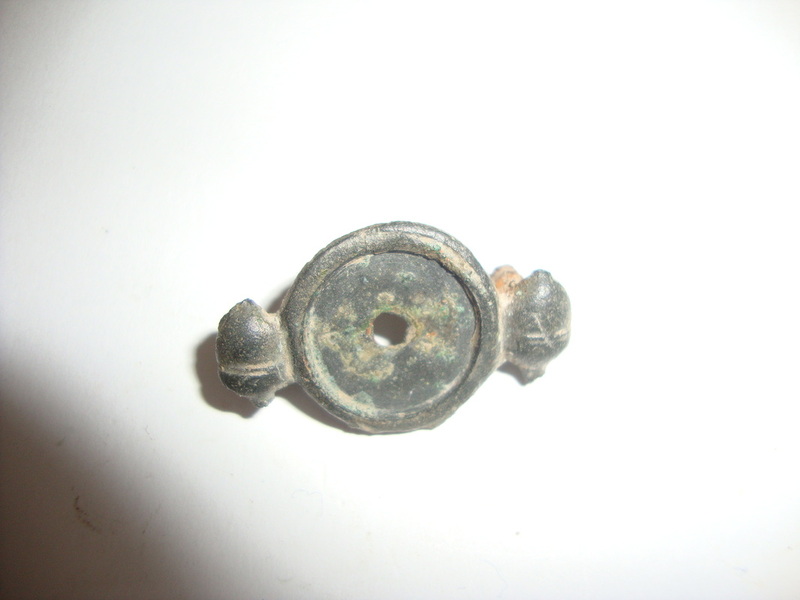 2nd century flat plate brooch with peripheral lugs. 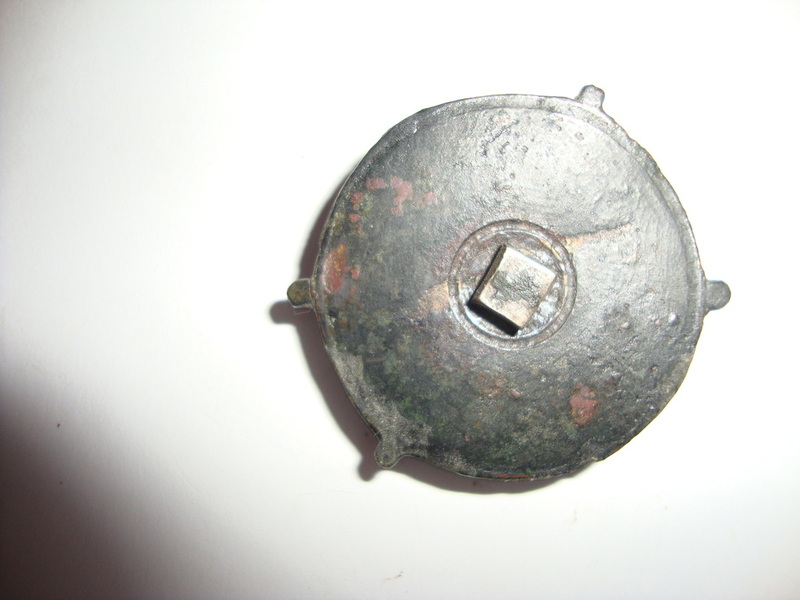 Probably a belt fitting,consisting of two circular panels with good enamelling and four peripheral lugs, with traces of enamelling. 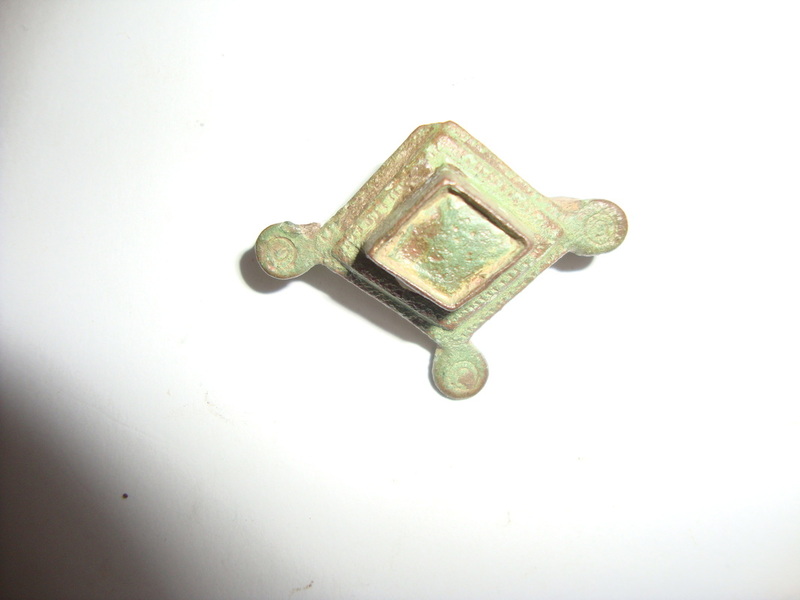 A very fine brooch sadly missing most of its enamel. 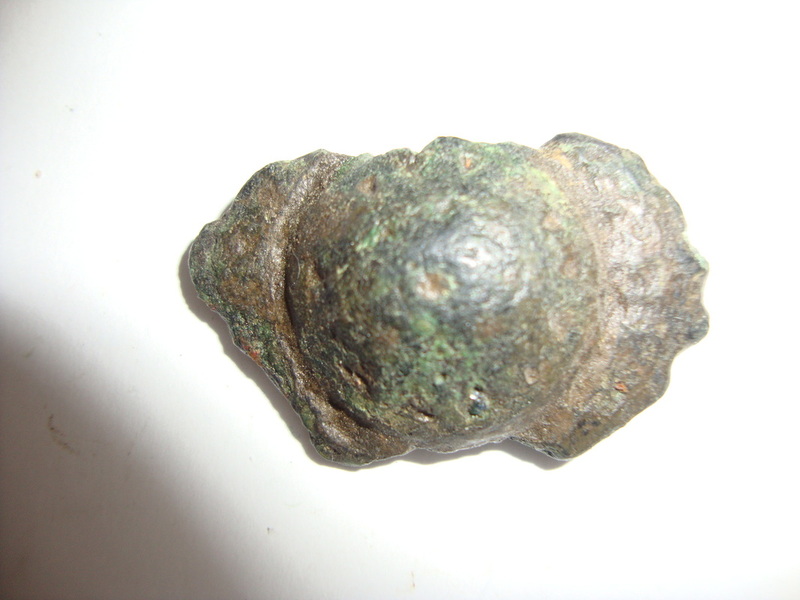 This type is regarded as Romano British. They were very detailed and colourful. 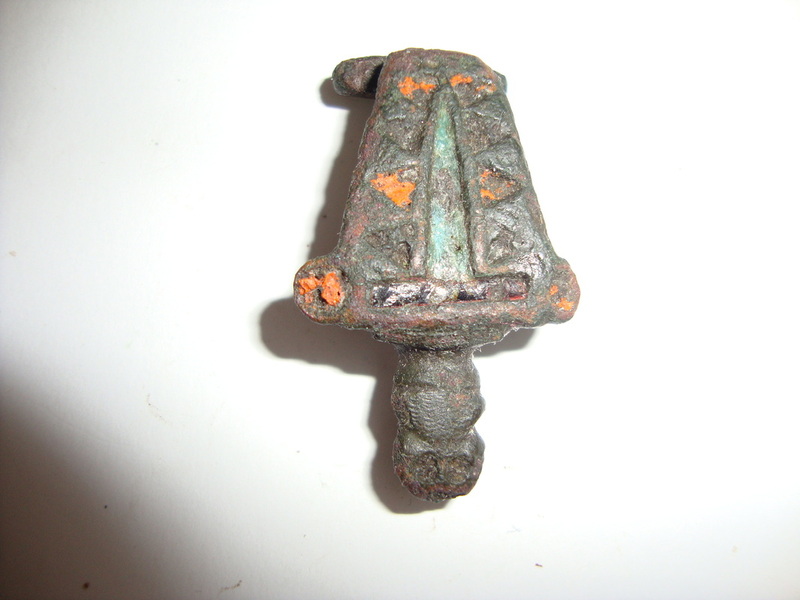 The lower one still has the suspension bar, which is very rare, off this bar would have hung cosmetic implements, an ear scoop, tweezers and nail cleaner. 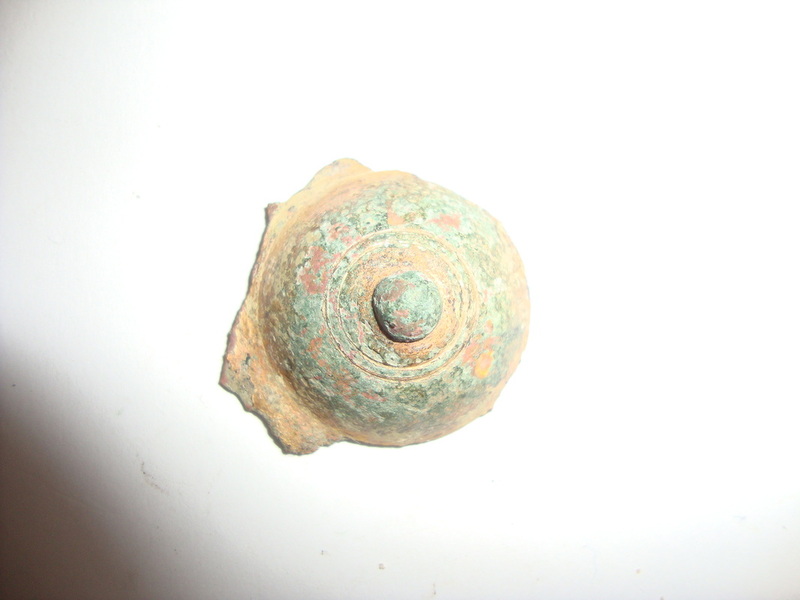 Some believe these could have been to girls on their coming of age. 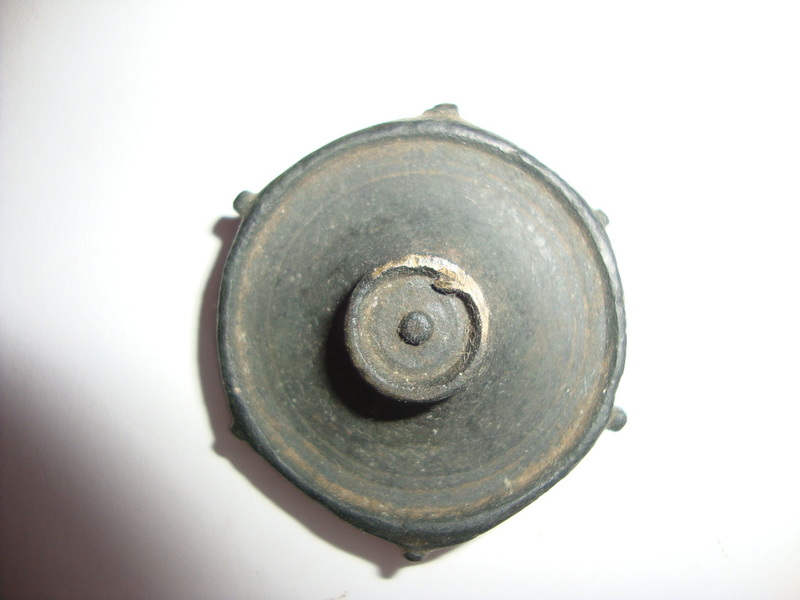 This example is in very fine condition and still has the suspension bar and pin intact. 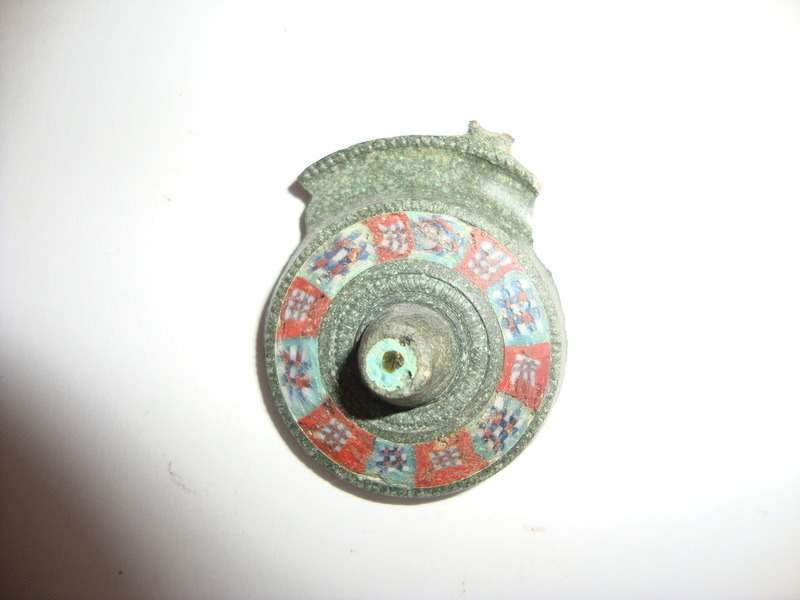 A guilded glass centre boss type 2nd to 3rd century AD. 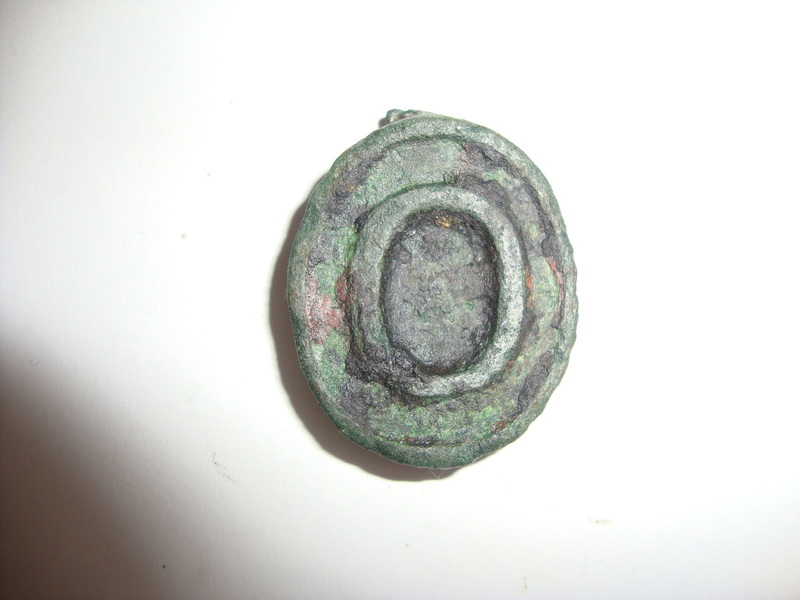 A worn Tutulus type 2nd century AD. 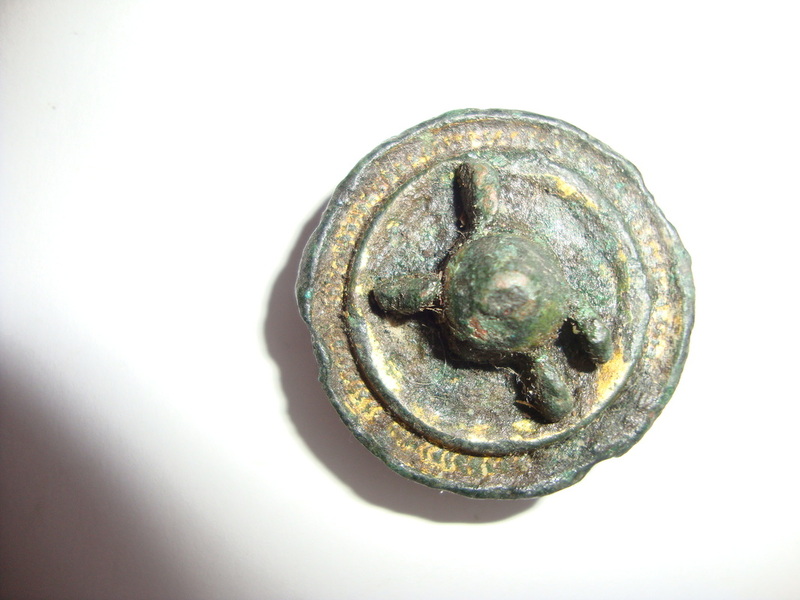 A small 2nd century disc brooch. 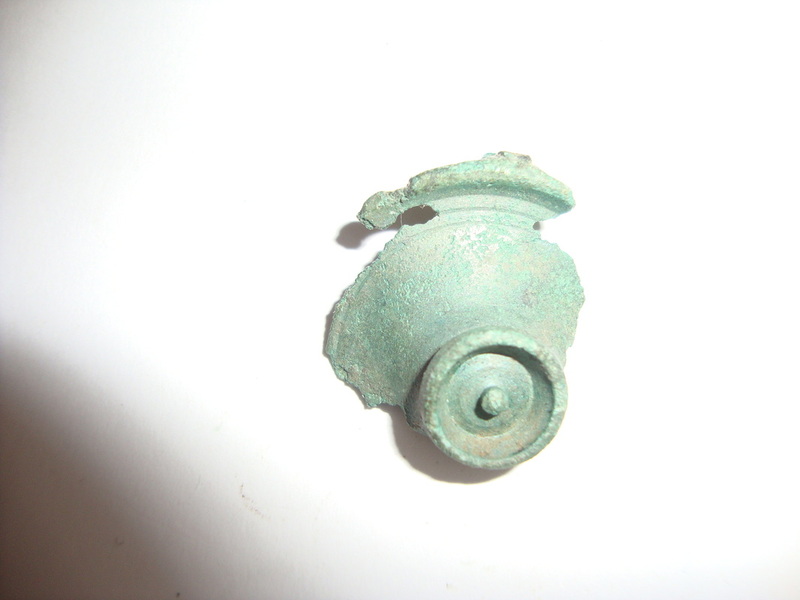 Good patina on this unusual disc brooch depicting two acorns. 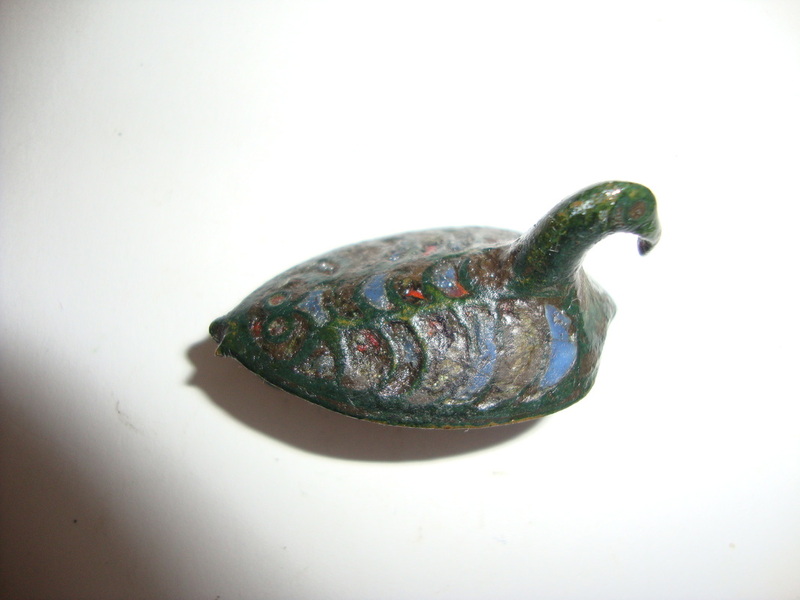 Amphora type in great condition with all enamelling remaining. 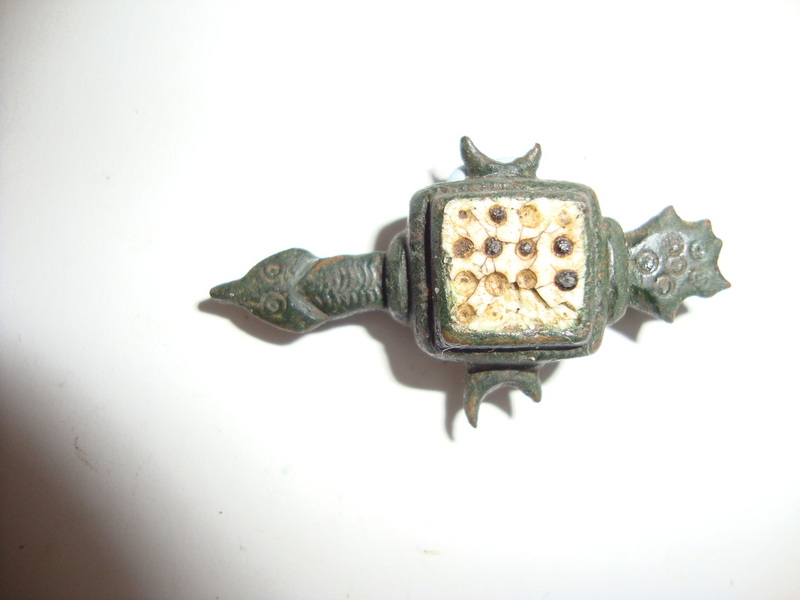 Composite plate brooch from the 2nd century. A very chunky example showing great detail and colour. 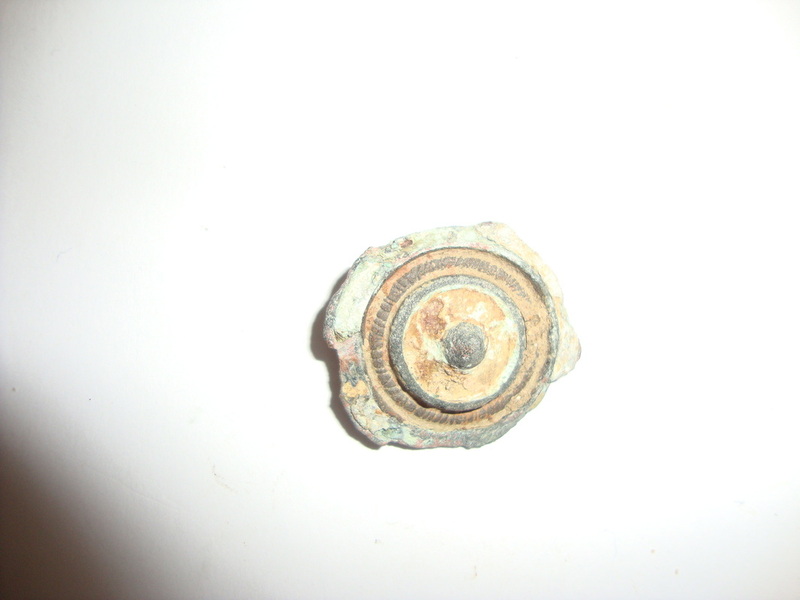 Some of the pin remains on this open work type brooch? 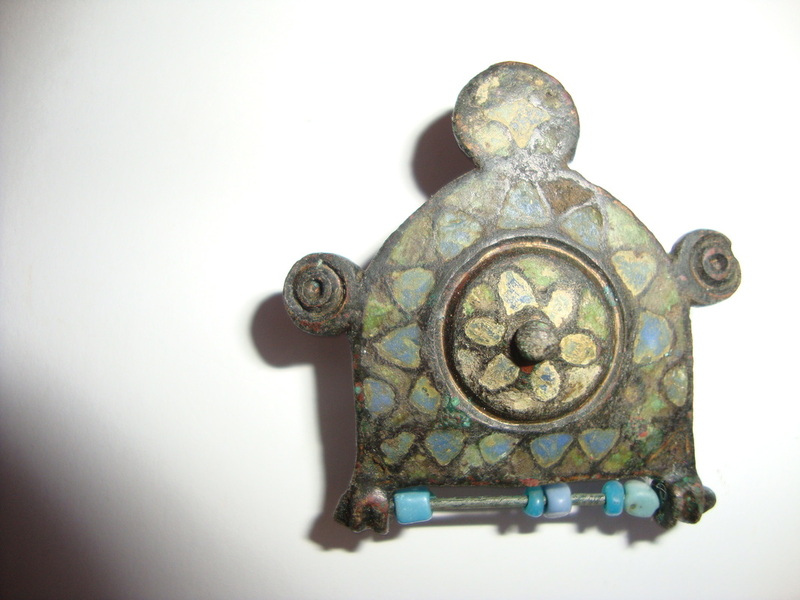 This plate brooch consists of alternating panels of blue and red millefiori with delicate patterns inside each box. I believe these were made up with fine rods of glass that were cut to size to achieve these amazing patterns. Quite rare and very high status. 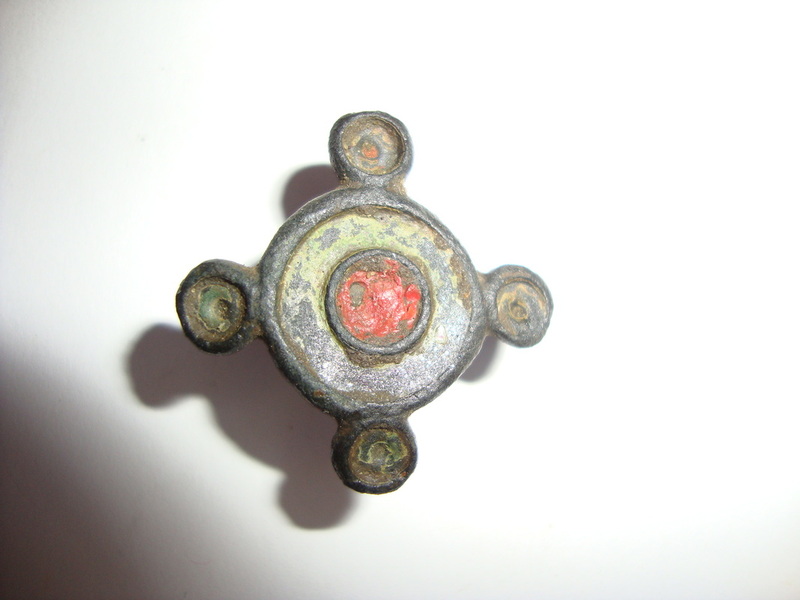 This is a lozenge shaped brooch with peripheral lugs bearing a ring and dot pattern. This was also covered in millefiori panels, some of which can still be seen. 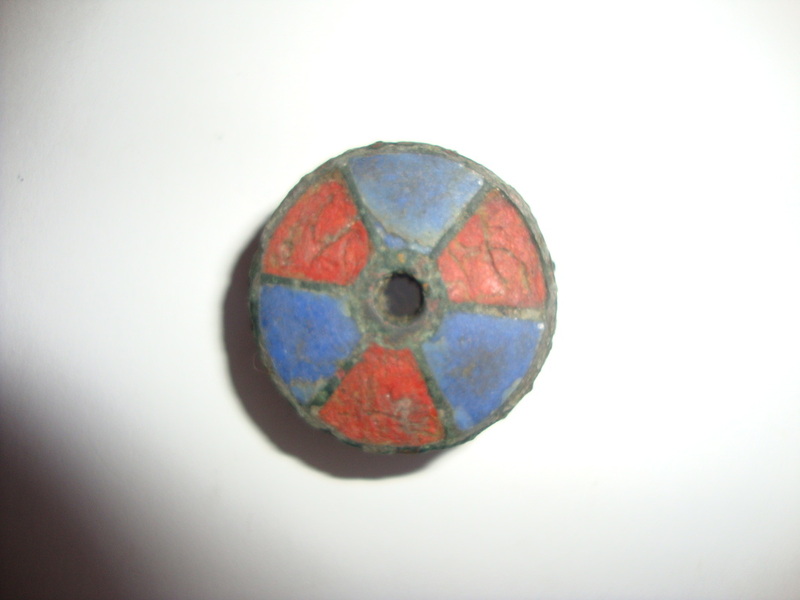 An umbonate type brooch consisting of an inner and outer circle of alternating red and blue enamelled triangles. 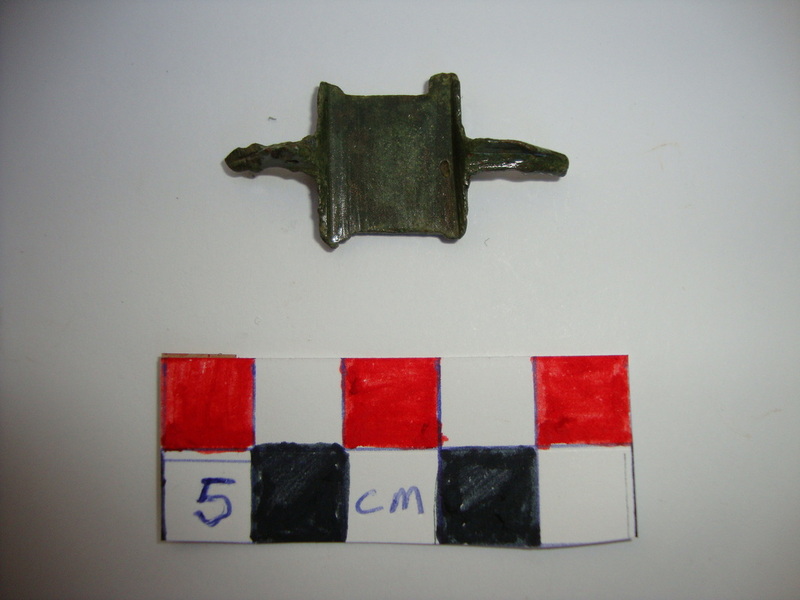 Some nice detail on this brooch but sadly missing one of its lugs. 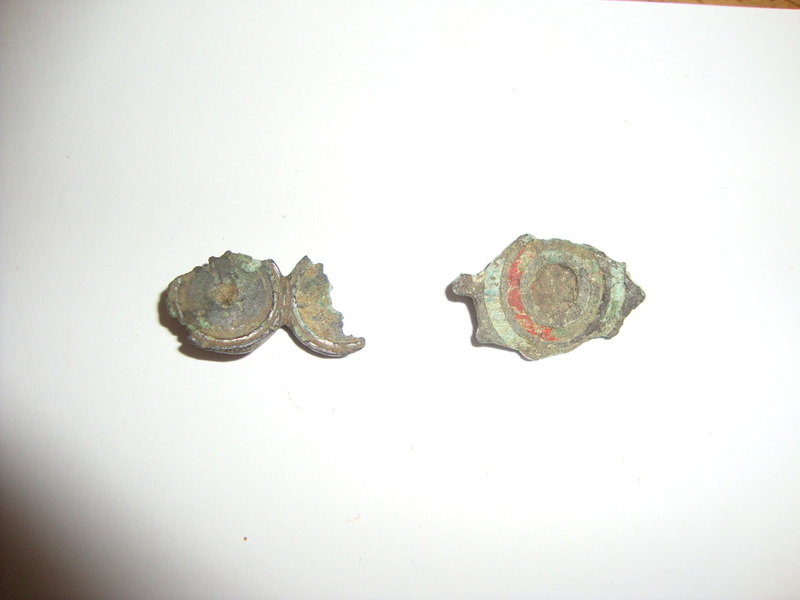 These are some of my favorate brooches. 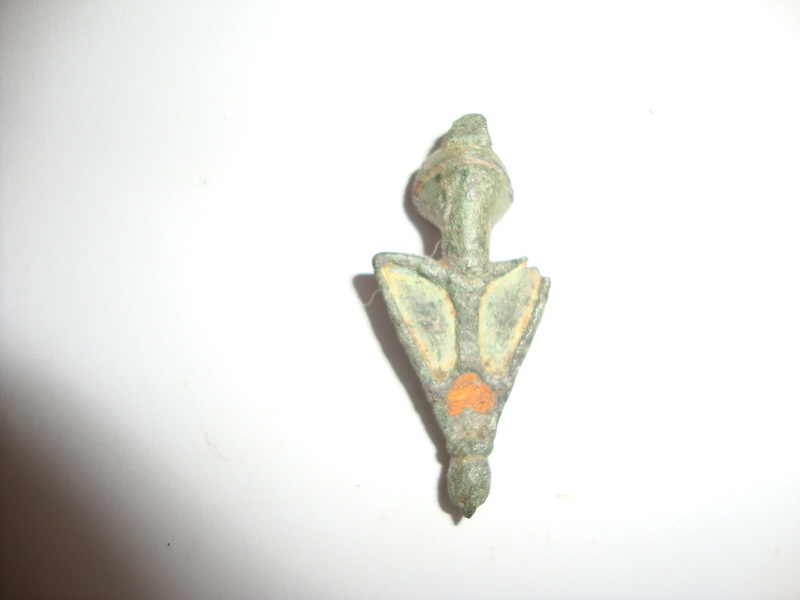 This has a stylised head and the corners I think were to represent the legs. 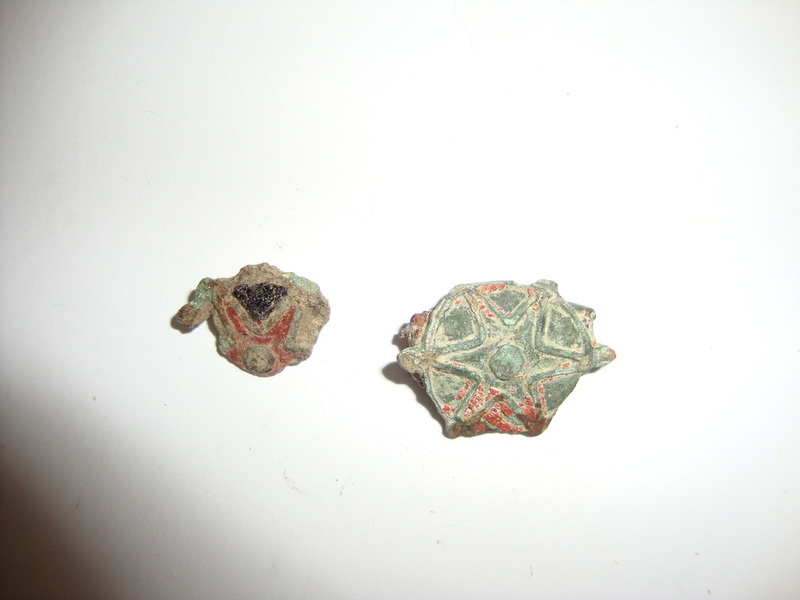 This is probably a Frog brooch and still has most of its enamelling.
. This is a stunning brooch. 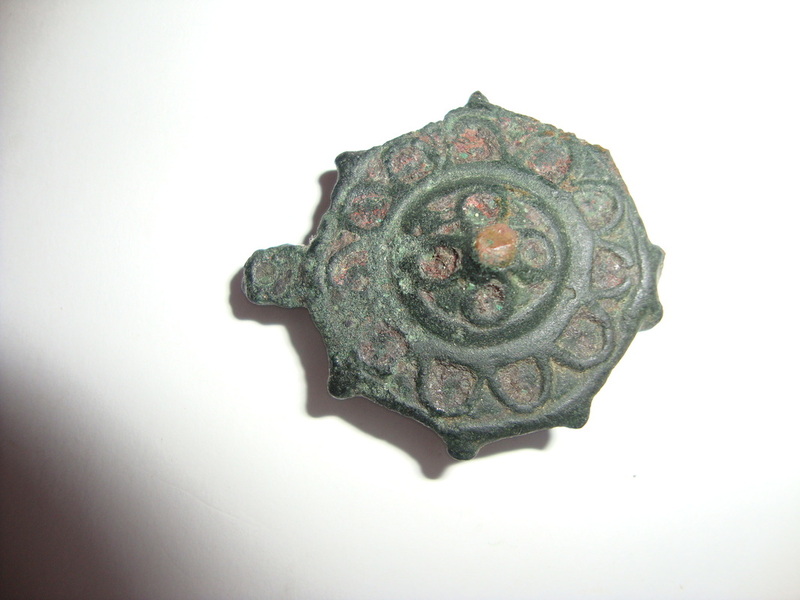 This I think is a turtle brooch. Very nice detail on head and ring and dot pattern on tail. The square panel is made up of white enamel and black dots. 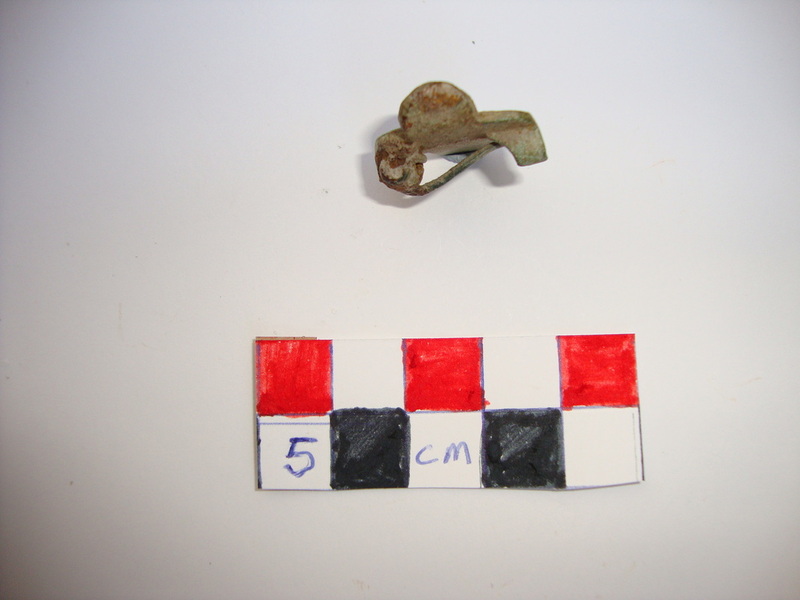 This fly brooch is a derivative of a Trumpet brooch. 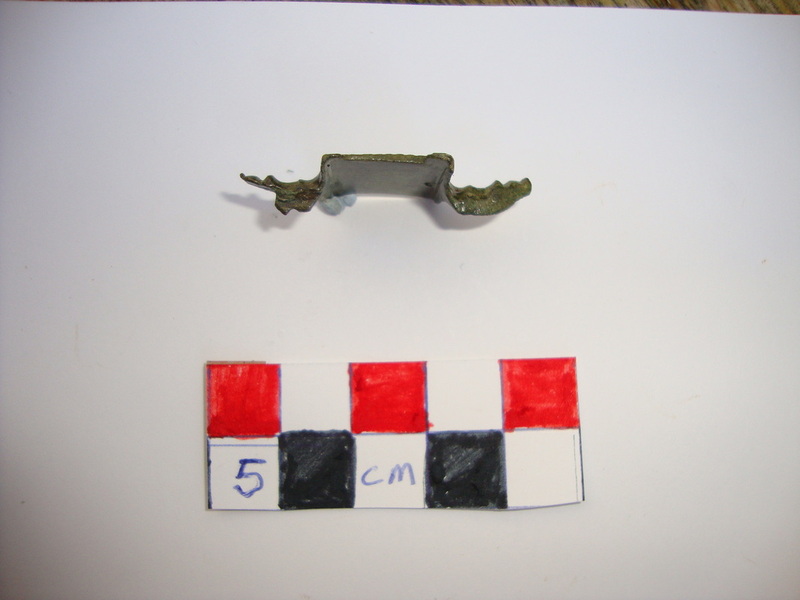 The wings still have traces of red enamelling. 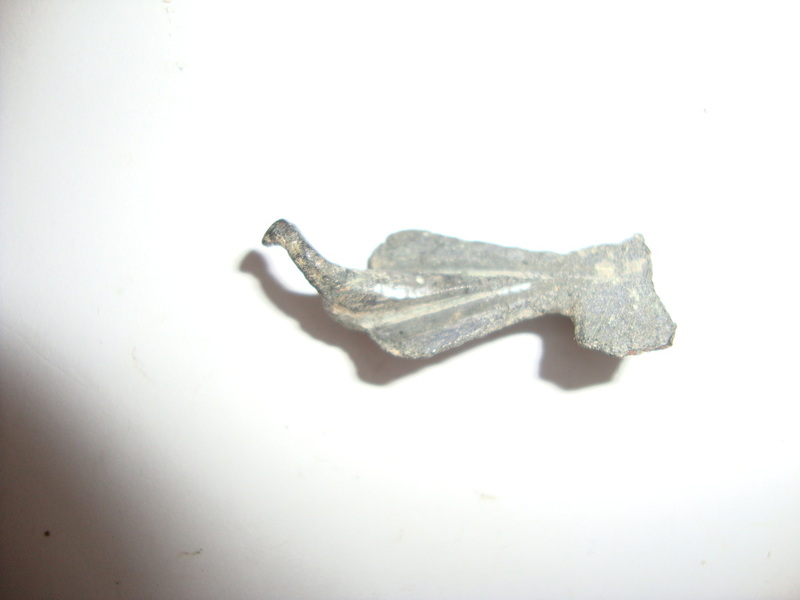 This is a Bird brooch and is heavily silvered. 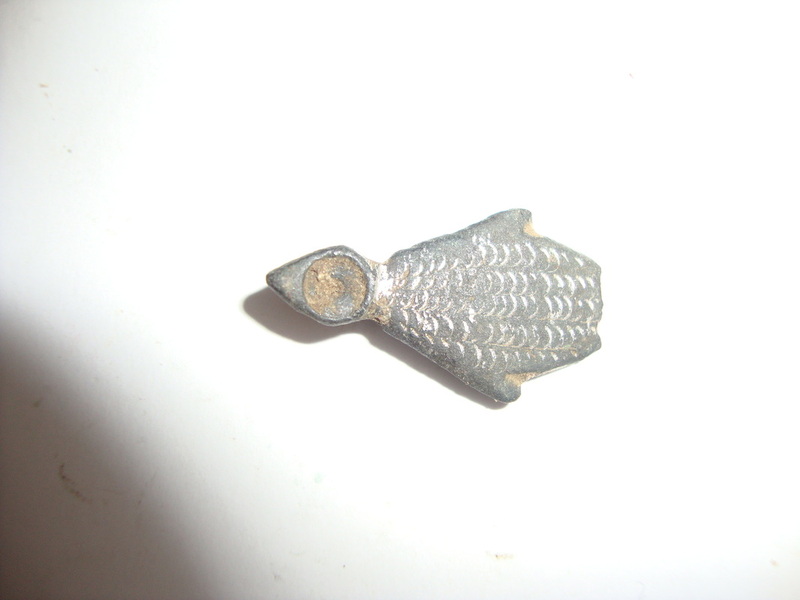 This fish brooch is heavily silvered and this shows up its fine scales. 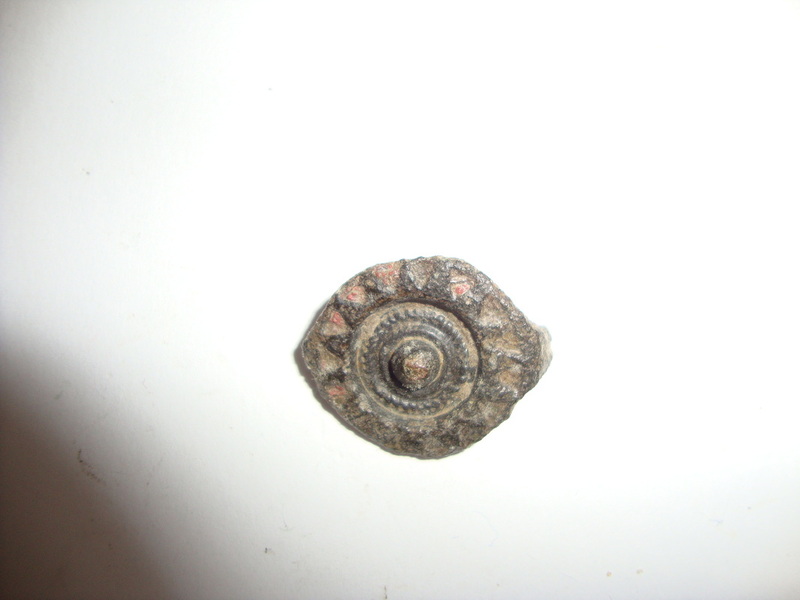 The eye would have been enamelled. 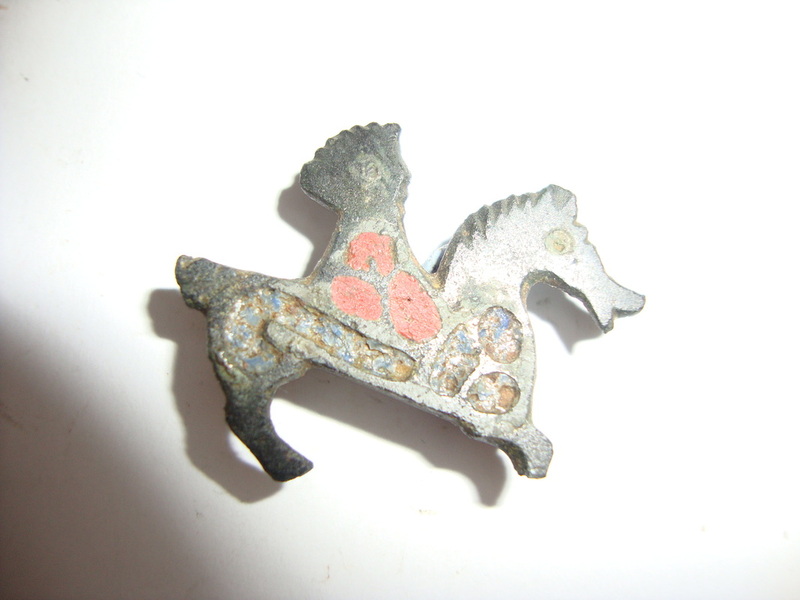 I found this Horse and Rider brooch on one of my favorite sites. 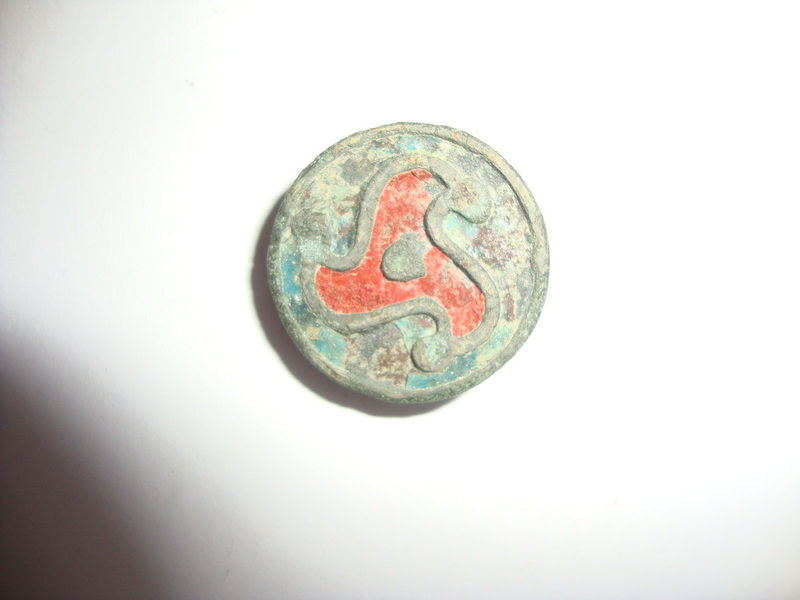 Still retaining its red enamelling and some of its blue, this has some nice detailing. This is one of the books I use.